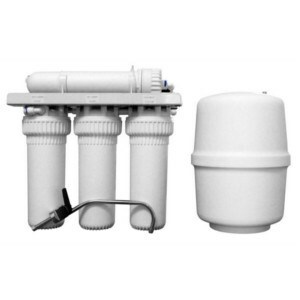 Reverse Osmosis is a process which removes 95-98% of all impurities in the water such as chlorine, aluminum, lead, pesticides, herbicides, nitrates, heavy metals, pharmaceuticals, antibiotics, chemicals, pcb's, arsenic and many more. 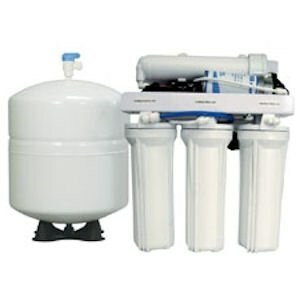 The Water Store carries a variety of Reverse Osmosis Systems to your fit your needs and budget. Every 4 stage comes with a high purity TFC membrane with 95% to 98% reduction capability. The first filter is a 5 micron poly spun, the second filter is a 10 micron carbon block and the 3rd filter is a 50 GPD TFC membrane. The 4th stage is a carbon polish. The feed line to the faucet is 3/8 inch, not 1/4 inch for better water flow. Each unit comes with a 4 US gallon pressurized bladder holding tank. 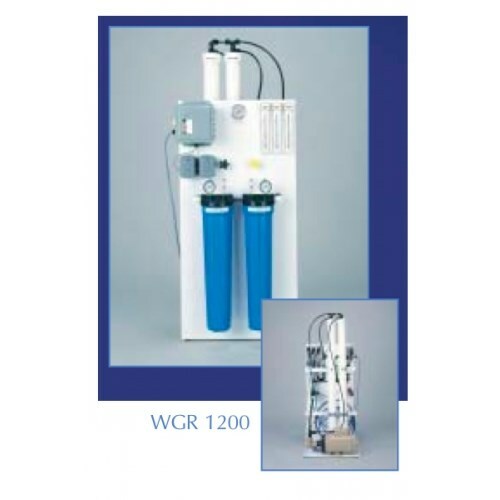 This unit is suitable for TDS levels up to 1000 ppm. - The wisper quiet 24 volt booster pump increases feed water pressure to 80 psi, perfect for country water with TDS levels of up to 2000 ppm. Make great tasting water and protect your family against these contaminants.